Feeling. Focus. Fun. Master all 3 with this colorful spinner. Feel better as you spin away, easing your mind while melting fears and anxiety as you brainstorm. Focus all ideas for a seamless, flowing train of thought. Helps with anxiety, focus, ADHD, autism and insomnia. Also aids in alleviating stress and boredom. Let your inner genius shine and increase concentration levels. Small, easy to carry, but most of all FUN! 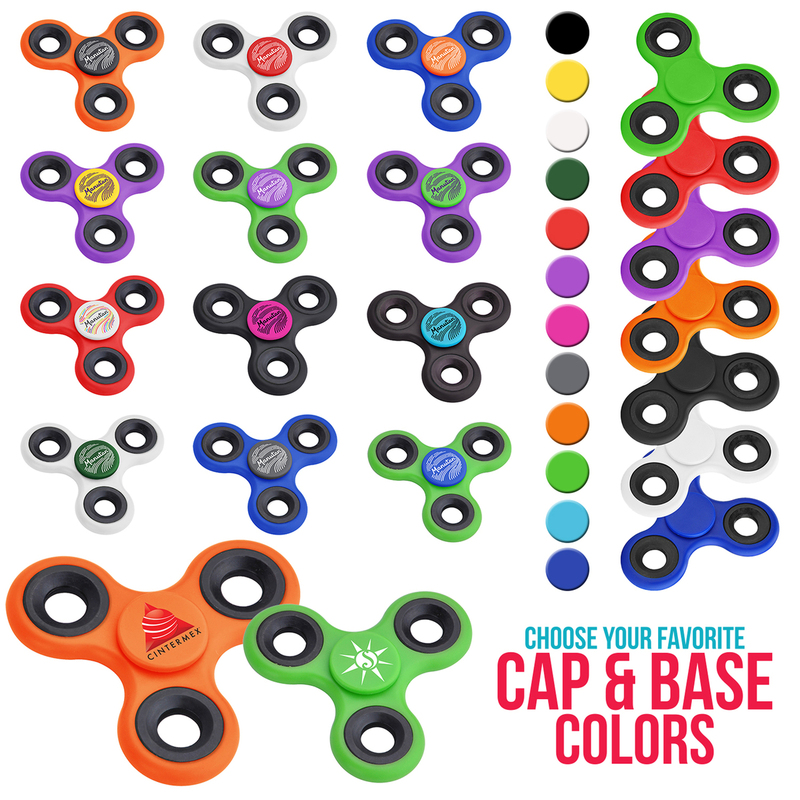 This spinner is ideal for any giveaway in any setting. Our super fast bearings and bright colors make for a simple, yet fun promo. For everyone age 5 and above. Digitek Full Color Imprint Available at NO Additional Charge.